One side note - how do you determine the appropriate probate court where an estate is being or has been, probated? An estate is probated in the county where the deceased person lived at the time of his or her death, or, in some cases, the county where the deceased person owned real estate. Use the following website to locate the correct name of the county by plugging in the name of the city where the deceased person lived or owned real estate: City - County Search. 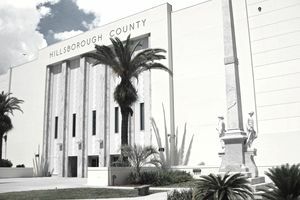 Click on the following link to the Hillsborough County, Florida Circuit Court court case website - Search Court Records. Read the information and then scroll to the bottom of the page and click on I AGREE. Click on Circuit Civil, County Civil, Family Law, Probate, Guardianship, Mental Health Court Progress Dockets. Click on Probate, Guardianship, Mental Health Court Progress Dockets. Enter the decedent's last name and first name in the appropriate search boxes. Once you have located the link to your probate case, click on it and you will see the following: names of beneficiaries of the estate and their attorney(s), if any; list of potential claimants; personal representative(s) and their attorney(s); and events and orders of the probate court, which shows all court filings, correspondence received by the probate clerk and orders entered. Once you locate the documents you want to have copied, you can click on the link to Office Locations and stop by in person or give them a call to determine the procedure for obtaining the copies and the costs involved. As a side note, Hillsborough County is where the estate of the owner of the New York Yankees, George Steinbrenner, is being probated, so you can enter his name in the search boxes and you will see all of the pertinent information regarding his probate estate.